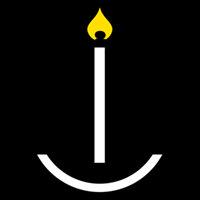 Battle Cry Light unto darkness! Before receiving the Black Carapace, Scouts wear uniform black armour. The armour of full battle-brothers is halved golden yellow on the right-hand side, with a black helmet. Veterans are entitled to paint their helmet yellow. They do not use company markings or squad numbers but have been observed to mark a squad’s role. 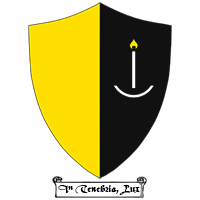 Personal heraldry is not uncommon, particularly among higher ranking Space Marines. These practices have often hindered allies attempting to track force disposition during a campaign. 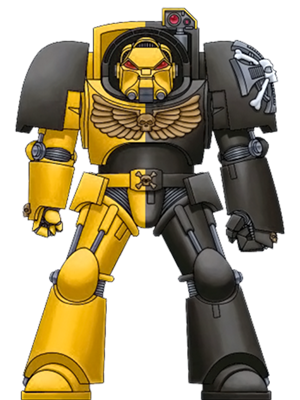 A Space Marine presumably has no real need of such markings, with the benefit of genetically-enhanced eidetic memory and his armour’s sensorium. The creation of the Lightbringers Chapter is lost to history, erased in the anarchy of the 36th millennium, when the rise of such cursed names as Goge Vandire and Cardinal Bucharis saw the Imperium turned upon itself in wars of heresy and unbelief. But it is likely that they were part of the Thirteenth Founding, known as the Dark Founding; the only Founding for which the Imperium has no records. The earliest mention of a Lightbringers Chapter in the annals of Imperial history occurs in 7886458.M36, at which time they appear to have been a fleet-based Chapter. The Inquisitor Benedict Lange reported the presence of two Battle Barges, the Shadow of Vengeance and the Incandescent Fury, pursuing a campaign against Chaos Renegades in the vicinity of the Mælstrom. It is curious to note that by the dawn of the 41st millennium, the Lightbringers were known to possess but a single Battle Barge, the Illuminating Sword, a vessel matching neither pattern reported by Lange. This may offer a clue as to how the Chapter’s earliest history could be lost even to themselves, though it is hard to imagine what calamity could befall two Battle Barges without also sealing the Chapter’s doom. The Chapter’s own records begin with the relief of York’s Landing in 5370738.M36. The Morningspire is a mighty fortress, constructed during the Great Crusade. The Lightbringers disdain the straightforward attack and the frontal assault. Instead they favour attacking their foes from many directions at once, timing operations meticulously so that targets scattered wide across a war-zone fall like dominoes. Lightning raids disable vital comms relays are disabled planet-wide mere minutes before the main attack arrives, cutting off any hope of reinforcements. Mighty artillery emplacements are captured and redirected just as the Lightbringers’ victims break and flee into their field of fire. Their Astartes senses compensate easily for changes in light level and it is common for them to take advantage of this against lesser opponents: striking at dawn with the sun at their backs; or at night, deploying countless flares after battle to blind the adversary. Their dedication to this approach requires meticulous planning, weeks of clandestine intelligence gathering and often more manpower than a direct attack. They are sometimes perceived as overcautious and slow to act by other Imperial institutions but victory is invariably crushing and final. The Lightbringers are a divergent Chapter. 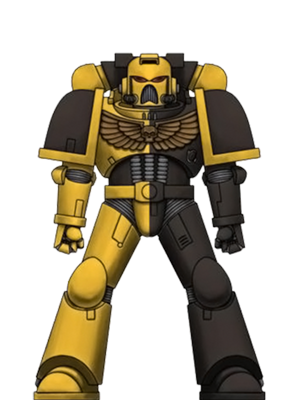 They are organized broadly in accordance with the Codex Astartes: they muster 10 Companies, each of 100 Space Marines, and in proportion generally have the decreed number of Tactical, Assault and Devastator squads. The Alpha Company is formed of the Chapter’s Veterans, and the Omega Company of Scouts, but the Chapter has no concept of a Reserve Company. Beta Company through Iota Company are all full Battle Companies. This may be a sign of their early history as a fleet-based Chapter. The composition of companies varies wildly and it is not unusual for companies to be completely reorganised even mid-campaign, tailoring each to their mission. Put your faith in His Will and the strength of your battle-brothers. 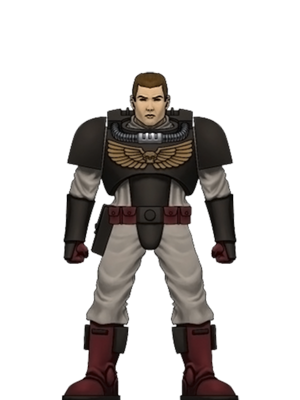 The Chapter Master of the Lightbringers is often accompanied by an Honour Guard known as the Dawn Chorus. These Veteran Marines are equipped with the finest armour and weapons available to the Chapter. They serve as advisors as much as they do bodyguards, and it is from their number that the Chapter selects a new Master upon the death of the old, for the Lightbringers value strategic acumen above all else in their leader. The Dawn Chorus are normally the last force to be committed to action, coordinating the battle from afar until there is no more to be gained with orders. Then they will identify wherever the line is least secure, and crash into combat with bolter and blade, resonant voices intoning the Chapter’s battle-hymns to inspire their brethren while laying into the foe with great two-handed weapons. The Lightbringers do not worship the Emperor as a god, but revere him nevertheless as the immortal saviour of mankind. 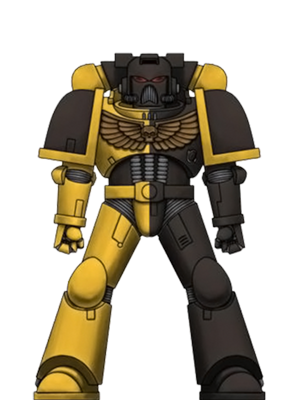 They believe the Emperor’s purpose for the Space Marines was to bring His Light to the Darkness: the Darkness of Ignorance; the Darkness of Unbelief; and above all else, the Darkness of Chaos. The Lightbringers’ Founding Chapter is unknown, but their gene-seed has no known flaws and all 19 implants function within tolerances, ruling out five of the original Loyalist Legions. Most likely they are of Ultramarines gene-stock. They spare little thought for the identity of their antecedents. Legions turned Traitor, Primarchs failed. Honour cannot be bequeathed, it derives solely from the prosecution of the Emperor’s sacred mission. Thought for the day: There is no greater glory than a lifetime of dutiful service.